This weekend, I did what the advertisements told me to and went to see Avatar in IMAX 3D. Truth be told, it was a bit of a disappointment. Weird, ham-handed moralism about the environment. Weird, ham-handed moralism about multiculturalism — particularly problematic because Na’vi culture seems to have been arrived at by lumping together a bunch of exoticized ‘native’ cultures (African, Indian, Native American). Too long by about 45 minutes. Also: jokes. There weren’t enough jokes. Terminator was funnier. But enough ‘tearing down the accomplishments of great men.’ Nobody ever made a statue of a critic, etc. Avatar is worth seeing for the graphics: 3D is the way to go. But beyond viewer experience, it is a good thing for society that James Cameron made it. Why? Because the film poured so much money into technological innovation, and that innovation will carry over to movies and projects to come. 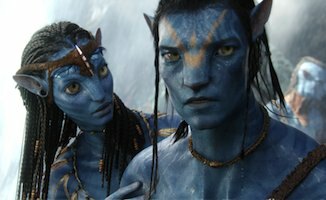 Avatar has gotten a lot of attention for its outsized budget, which was reportedly close to $500 million. That’s a lot of money — the most money ever spent on one film — but there have been other nine-figure films this year that did not use as much of their largesse for innovation. Box office disappointment Watchmen, which featured a less technically sophisticated blue fella, reportedly cost $130 million; according to LA Weekly, $50 million of that was sunk into marketing. Even the credits of the film are monstrous: after Industrial Light and Magic and Weta Digital were credited for the special effects, the long line of other effects houses that worked on the movie scrolled by. I lost count of how many different companies leveraged how many different forms of technology to get Avatar filmed. If you’re a fan of cinema, no matter how you feel about the trailer, you need to see this movie; it represents the absolute best that technology can give us in film—at least with an unlimited budget and a small city of geniuses working across a decade to bring it to life. Aside from employing a lot of smart people, Avatar gave rise to advances in performance capture workflow, fusion 3-D (which Cameron had developed earlier for his Titanic followup documentary), and believable CG facial expressions — not an easy task. It’s hard to imagine any force less than James Cameron able to muscle corporate money this big into this sort of tech innovation this quickly in this economy. And the benefits will spill over past Avatar. Now that the (blue) genie’s out of the bottle, these developments are sure to benefit other filmmakers, and could easily spill over into other fields (video game development jumps most readily to mind). Someday Avatar may look dated — its plot will hardly stand the test of time — but its technological daring ensures its place in film history, if only as a museum-piece.